Gallardo Law Firm defends victims of negligence through medical malpractice lawsuits. Medical mistakes are prevalent in Miami. Anyone can make mistakes, and this may include doctors, nurses, and any other healthcare professionals. Medical malpractice lawyers Miami are there to help the victims with the whole process to make them complete after a medical mistake may, unfortunately, change their lives. If you or someone you love has been the victim of medical malpractice, contact our medical malpractice lawyers Miami experienced in malpractice law. It’s crucial that you hire experienced medical malpractice lawyers Miami to assist you with your case and meet critical deadlines. With the help of a qualified attorney, you can get the representation you are entitled to receive. Medical malpractice has to do with professional negligence by a healthcare professional or a provider in which the treatment offered was poor causing injuries or harm to the patient. In most cases, the medical malpractice has to do with medication dosage, treatment or aftercare, medical error, and health management. There are many different types of medical malpractice cases. Some of them deal with tasks performed wrong by physicians, and some are based on what the doctor failed to do such as diagnosing a condition. Although all cases are entirely different, they have one thing in common, and that is the negligence of a physician on an innocent victim. To prove one of these cases, the injured party must demonstrate that the doctor did not meet the usual standards of care during the medical treatment. Lawyers working in lack of diagnosis or misdiagnosis medical malpractice cases can be very helpful to those individuals who have been victims of negligence. They work with top experts to determine if you and your family may be entitled to compensation. Do not be afraid to file a claim against medical malpractice that harmed you and your loved ones. You may be able to obtain compensation for your losses, medical expenses, and your suffering. Many families are affected by medical errors occurring every year in our nation. Mistaken diagnosis or failing to diagnose a health condition are some of the most prevalent types of medical malpractice. A medical provider who could not diagnose a disease or has mistakenly diagnosed a condition can be held liable for the damages the patient may suffer. If you have been diagnosed or feel that your healthcare professional failed to diagnose a medical condition and sustained injuries; as a result, you may be entitled to compensation for your injuries. If you have lost a loved one as a result of a medical professional failure to diagnose or misdiagnosis, you may also be entitled to compensation for your loss. Doctors are forced to discard all hazardous conditions and are not allowed to speculate about the patient’s dangerous medical condition. They need to evaluate the list of diagnosis first, observe, ask detailed questions, order tests and refer the patient to a specialist, etc. The most frequent place for a misdiagnosis to occur is in the emergency room of a hospital. Physicians should consider and avoid dangerous circumstances that may bring about complaints, pain or distress in a patient. Failure to diagnose a heart attack and aortic dissection. Failure to diagnose an infection. Unable to diagnose a spinal cord injury. Lack of diagnosis of a cerebral hemorrhage. Failure to diagnose stroke and cancer. Error in diagnosing can mean that a medical professional provided an incorrect diagnosis or the doctor diagnosed something when there was nothing wrong with the patient. An erroneous determination could be that a patient had symptoms that included a burning sensation in the chest and the doctor diagnosed the problem like acid reflux when indeed, the patient is having a severe heart problem. Another example would be when a health care provider diagnosed a patient with breast cancer, and mastectomy is recommended for cancer not being found. It is evident that any of these examples can affect the patient’s health. The treatment of a disease or condition that was not diagnosed correctly can lead to unnecessary surgery or the use of unnecessary drugs, when in fact the actual illness or condition is left untreated. Failing to diagnose high cholesterol or diabetes. Failing to diagnose a heart attack. Failing to diagnose deep vein thrombosis or pulmonary embolism. Failing to diagnose sepsis or infection. Failing to diagnose a stroke. If you believe that a doctor, nurse, or medical professional has made a mistake that caused injuries to you or a loved one, contact our medical misdiagnosis lawyers Miami. Sometimes doctors fail to practice reasonable care when treating a patient and they may be found guilty of medical negligence. Doctors will fail to recognize and investigate symptoms, ignore complaints, fail to provide appropriate treatment, fail to interpret and read the results, fail to refer the patient to a more qualified professional when he or she lacks the right qualifications to diagnose, and administer treatment for the patient’s condition. This will cause the healthcare professional to fail to respond to indications of cancer the right way and at the right time. Consequently, the patient’s condition may get worst and he or she may suffer injuries as a result of the wrong diagnosis of cancer. Initially, over 12% of cancer cases are misdiagnosed. Cancer misdiagnosis almost always has devastating outcomes for patients and their families. Misdiagnosis or failure to diagnose could deprive a patient of urgently vital medical treatment, which may not be suitable to administer later on if cancer spreads and gets worst. These could even lead to severe complications and wrongful death. Early detection and treatment allow sick patients to have more chances of recovering from cancer. Cancer medications and treatments are effective if treated before the disease spreads. Failure to diagnose cancer or wrongly diagnose the disease can hurt the ability to survive the deadly disease. Perform an unnecessary diagnostic test. Not being able to identify a tumor. The procedure being performed incorrectly. There are several important things you can do once you have been diagnosed with cancer. The most important thing is to contact medical malpractice lawyers with the required knowledge and experience to discuss your case. Your lawyer will guide you through the entire process, but it is best to start the legal process as soon as possible that way the testimony of all parties is preserved. You should provide the lawyer with your medical records as quickly as possible. Additionally, you should keep track of appointments and bills and gather all required documentation such as hospital records and test results. Contacting the medical professional involved. Getting in touch with the licensing board that administers the medical licenses. Find out more about how much time you have to file a claim legally. Get the proper medical assessment to confirm that the case has merit. You may also want to consider an out-of-court settlement. Contact a medical malpractice lawyer. Medical Malpractice attorneys have many years of handling claims and can help you and your family understands your legal rights and options. They will carefully review your medical records to conclude whether any misdiagnosis on the part of a healthcare professional has occurred to ensure you are granted the indemnity you need and deserve. It is essential to work from the beginning with medical malpractice attorneys because they understand better Florida laws and can help you establish your case in the shortest time possible. If you have a claim, Gallardo law Firm has the resources to help you with recovery and protect your interests. In the Sunshine State, the statute of limitations for Medical Malpractice is two years from the time the patient or family member found out about when the injury occurred. Calculating these two years is not easy since the definition comes from a combination of words related to the statute itself and how it’s interpreted. There is also something called Statute of Repose, in which unless there was fraud, misinterpretation or concealment, a healthcare provider cannot be sued for medical malpractice. The claim cannot be brought more than four years after the negligence occurred, even if the family doesn’t know about the misconduct. If the fraud can be proved, then the four years can be extended to 7 years. There is also a particular statute of repose for children. At Gallardo Law Firm we have competent lawyers to help you and your loved one with medical malpractice caused by either failure to diagnose or misdiagnosis. Our attorneys are skilled and have at hand the required information for the different categories of medical malpractice lawsuits. We also offer legal counsel on medical malpractice cases online at our website with the right advice for prospective customers. 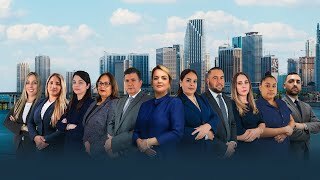 Our lawyers in Miami are highly skilled and have the licensing and knowledge required to follow the state laws and handle your situation to benefit you and your family. Medical malpractice can be distressing for the injured and loved ones alike. Healthcare professionals are supposed to be trusted as they provide the care patients so desperately need. Our lawyers will be able to use every legal resource to support your case and help you recover from the losses. Gallardo Lawyers are dedicated to holding careless healthcare professionals responsible for their actions. If you need a confidential consultation, contact us today. Medical Malpractice happens when a healthcare professional like a physician, nurse, health technician and others cause injuries or death to a patient due to improper or negligent care. Among them, we can mention lack of diagnosis or erroneous diagnosis, prescription error, surgical errors, abuse in the nursing home, OB-GYN mistakes and others. Medical malpractice does not occur automatically because the patient has an adverse outcome. In most cases, complications are not considered negligence. Most of the difficult situations are included in the consent form. A consent form does not free the physician of the responsibility of having been negligent in performing a medical procedure. That excludes exceptional emergency situations where the patient signs a consent form indicating the doctor explained the description of the problem, treatment, and associated risks; and the patient has the chance to ask questions before agreeing to the procedure. The fact that the patient signs consent does not override the right to sue the healthcare professional if the standard of care has not been performed. Cases usually take from 1 to 3 years. It all depends on many factors such as the number of individuals, entities, or experts involved, schedule and commitment, level of investigation needed, among others. After the trial, if the defeated party decides to appeal the case, the verdict will be prolonged. There is no guarantee from the medical results. Malpractice doesn’t happen because the patient suffered a bad outcome. Complications may cause undesirable results, but they are not generally considered to be malpractice. Most complications are in the consent form, and these comprise bleeding and infection. A consent form doesn’t release the doctor who committed the negligence from liability. Except in emergency situations, patients always sign a form that states that they understand the procedure to be performed, the risks involved, and they had the opportunity to ask questions before consenting to the treatment. This consent form doesn’t waive the right the patient has to bring a medical malpractice claim.